This is our Tiny Tumble Mix from Brazil. There must be hundreds, maybe thousands of little tumbles in each pound. 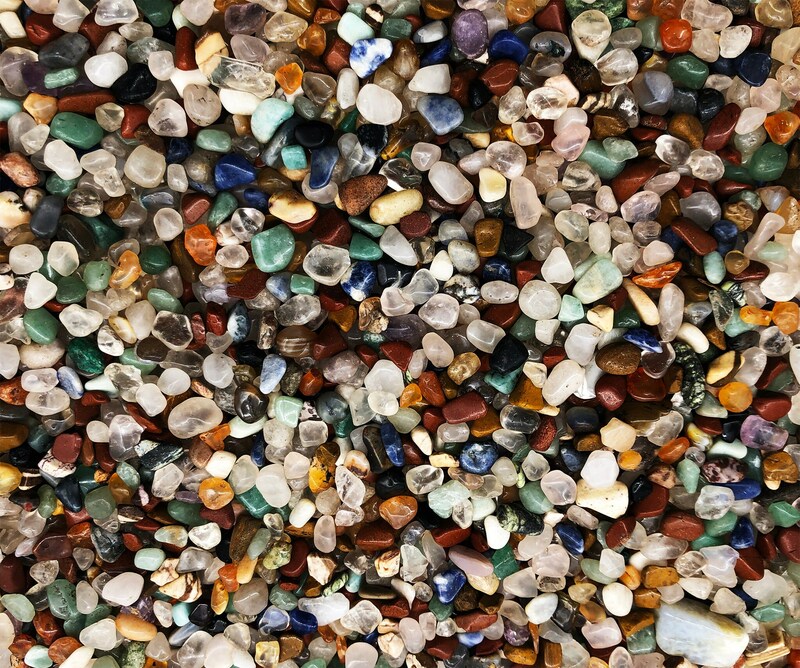 This mix includes amethyst, citrine, green aventurine, blue sodalite, tigers eye, and many more! 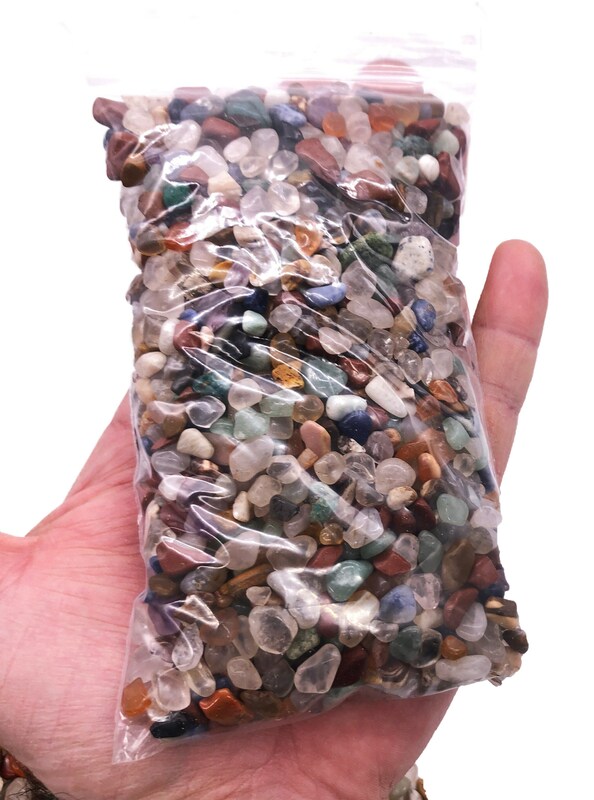 The one picture with the tumbles in the bag is exactly 1 pound. So you will get an idea of how many of these little guys are in this mix. Looking for something a little bigger? 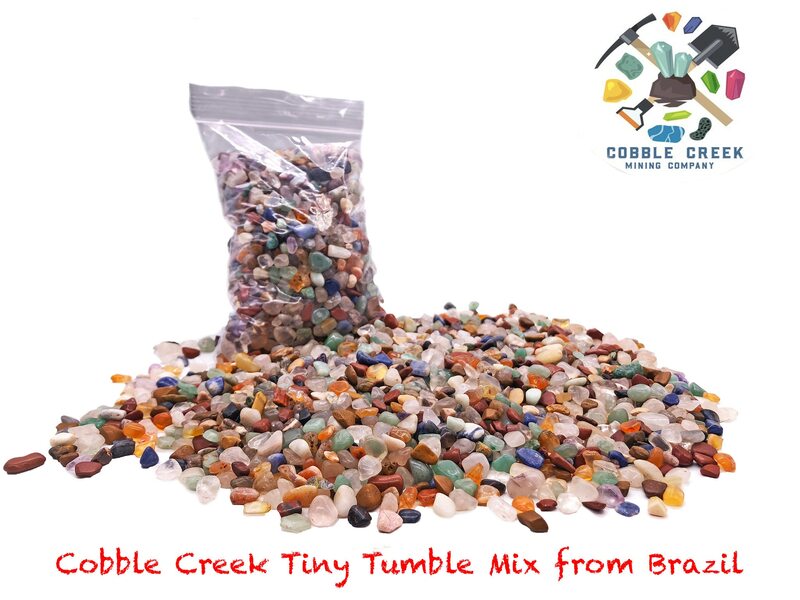 Check out our listings for larger mixes or our mini-tumble mix. 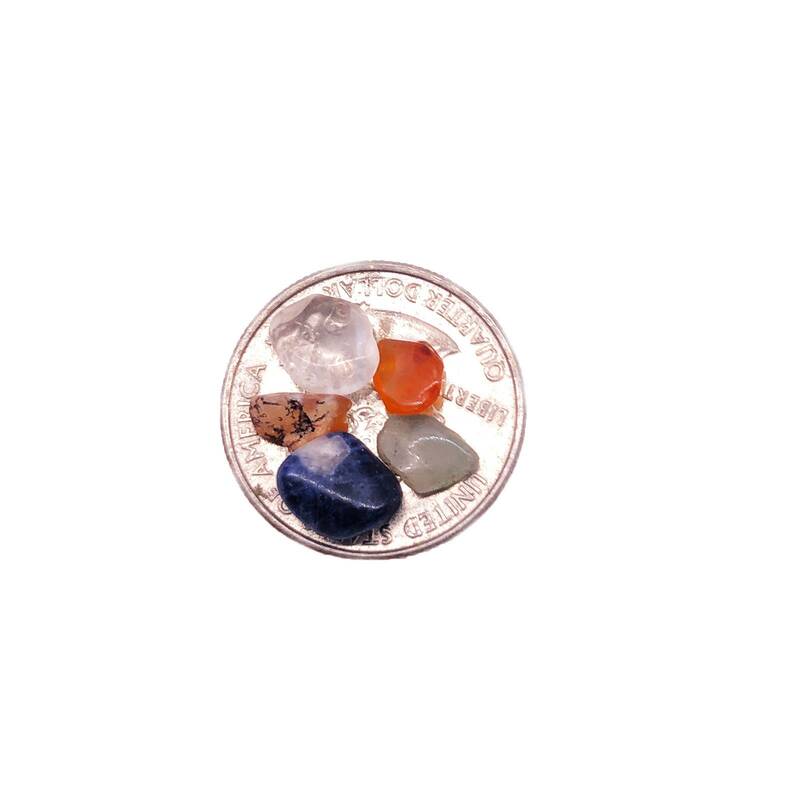 Size: 5 - 10 mm each stone - average range. 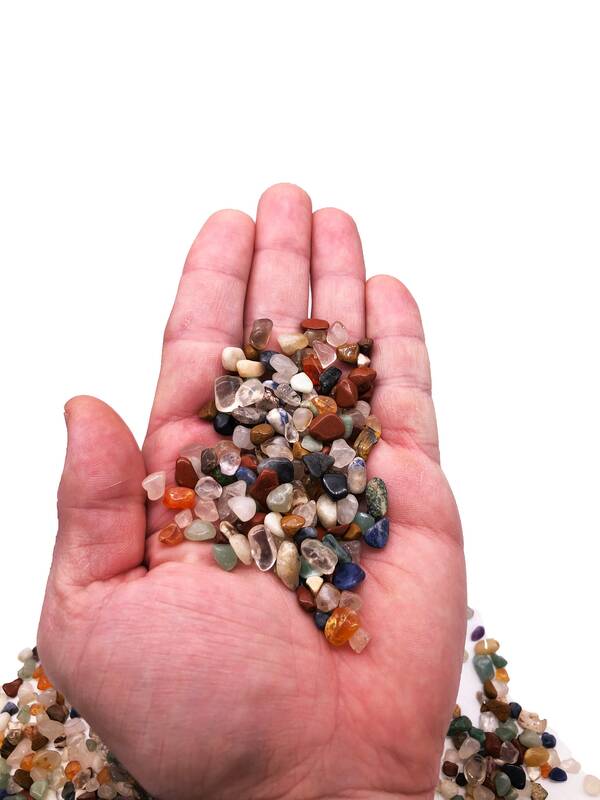 Very nice small stones. Arrived promptly.